At Turken and Porzenski, LLC, we are dedicated to providing meaningful family law solutions to clients throughout St. Charles County, Missouri. Our practice is limited to the family law field, with concentration on a variety of complex issues involving substantial assets, professional practices, business ownership, spousal support, child custody and child support. Turken and Porzenski, LLC has been listed as "Best Lawyers" in St. Louis Magazine. Our staff of experienced legal professionals understands the emotional and financial ramifications these cases may bring. We will pursue every available legal option in order to achieve your goals in a timely and cost-efficient manner. Our firm is comprised of a team of legal counsel, paralegals and legal assistants to serve all of your needs and to address your questions on a timely basis. Our team is capable of meeting your demands and providing you with a high level of personal service. We take care to protect the interests of children in all cases. We also have the legal savvy needed to take on complex divorce litigation in which family businesses and significant assets must be considered. 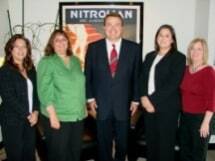 Our attorney, Joseph J. Porzenski, has 15 years of trial experience skillfully resolving family law cases. After carefully examining the details of your case, he will explain the legal process, law and strategies that will help you make informed decisions on how to proceed. We are often able to resolve cases in a timely and cost-efficient manner by negotiating favorable settlements on our clients' behalf. However, we are fully capable of fighting for your interests in court when settlement is not a viable option.